I have a thing against carb substitutes. Zucchini noodles couldn’t be farther away from actual noodles, sweet potato “toast” makes warm sourdough cringe, and chickpea pasta makes me never want to see hummus again. 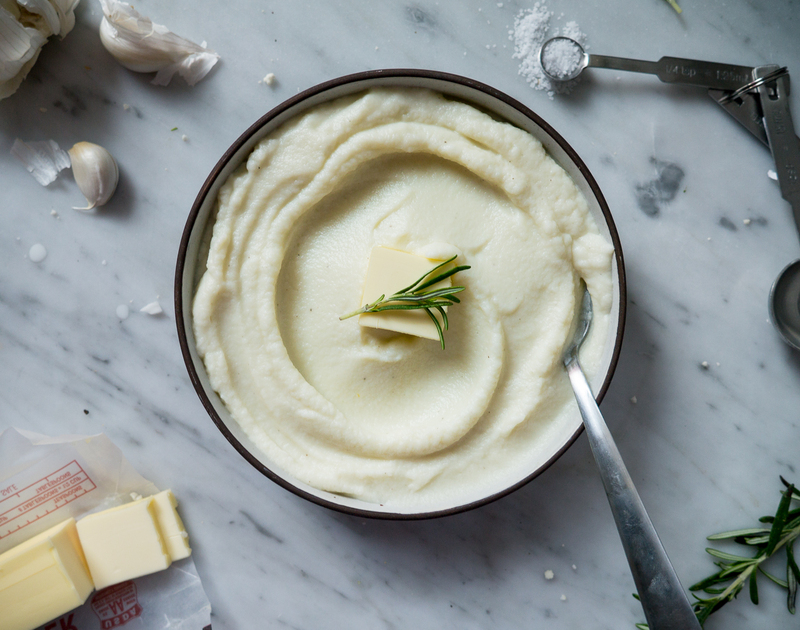 However, and this is a big however, this creamy garlic mashed cauliflower is actually just as good if not better than actual mashed potatoes. This is the dark skinny jean of side dishes: it goes with everything, you can dress it up or down, and it’s usually your favorite thing in your repertoire. 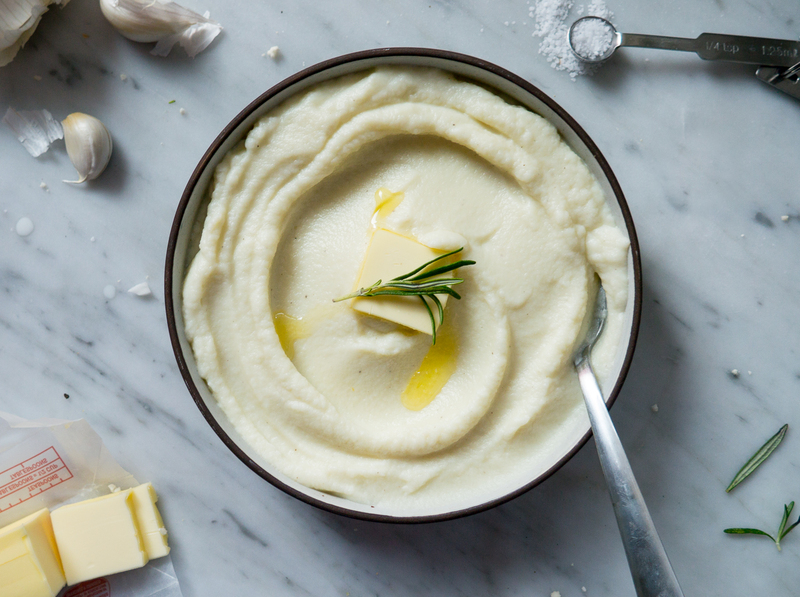 I’ve never been so obsessed with something that takes just three ingredients, but lately I’ve been serving this garlicky cauliflower mash with everything. It’s a perfect swaddle for a rich beef stew, garlic butter shrimp, or meatballs, and lightens up any entree. If you’re tasked with bringing a side dish for a Friends or Thanksgiving, I think this is your ticket for getting invited back every year! 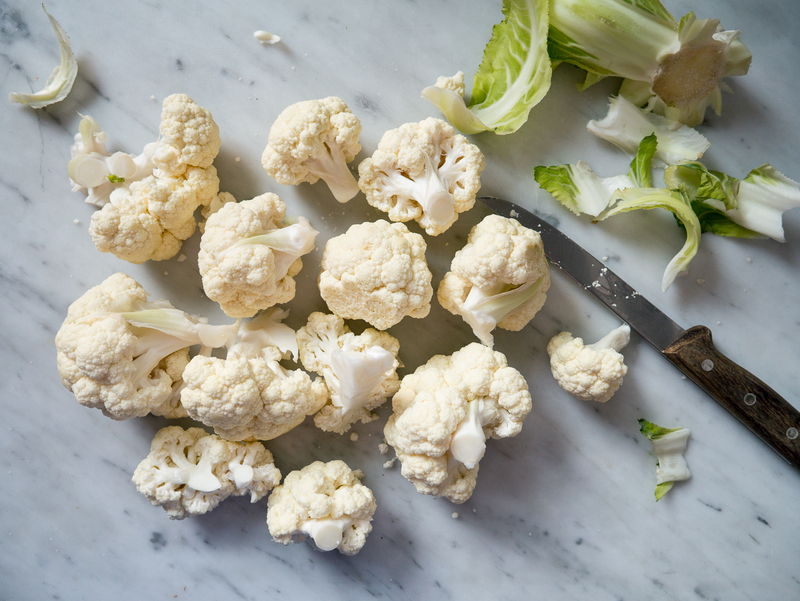 Chop a large head of cauliflower into florets, and steam until fork tender. 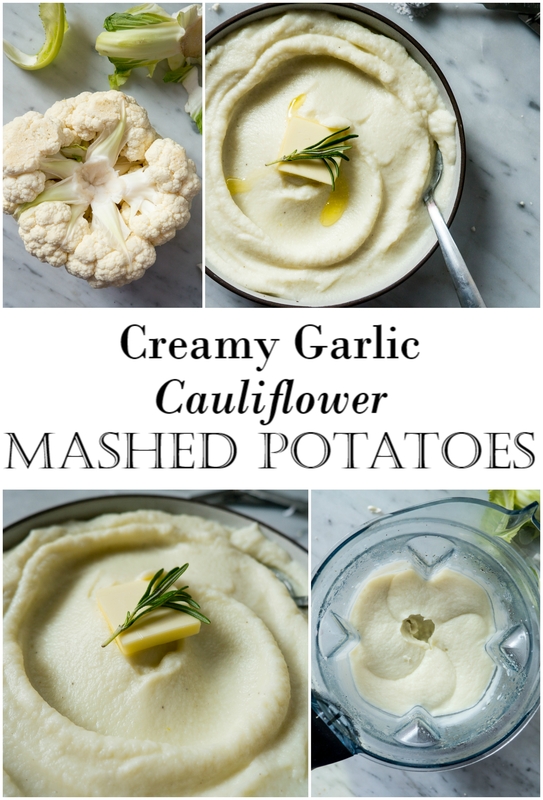 Warm olive oil and garlic, and then puree with the steamed cauliflower and a splash of cream. 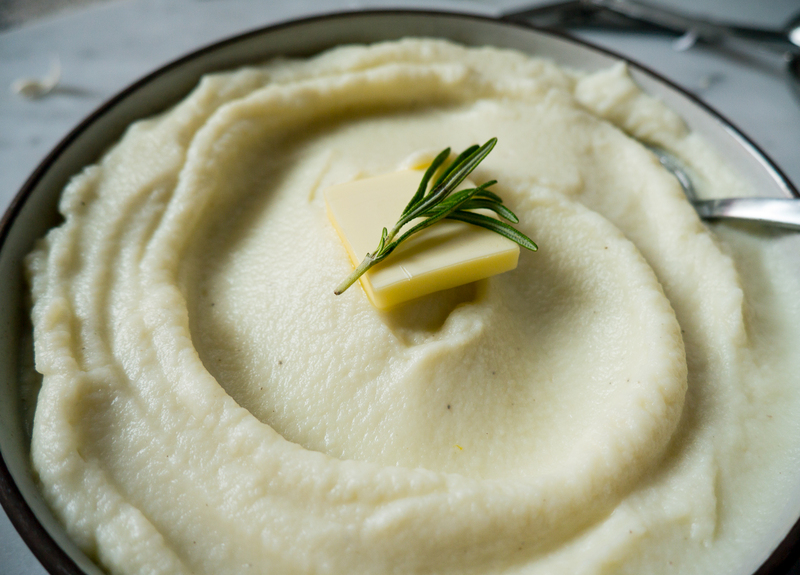 The blender turns it into the silkiest puree that can’t be matched by using a masher (I tried, got my arm workout for the week, and was still left with a chunky mess). And there you have it! 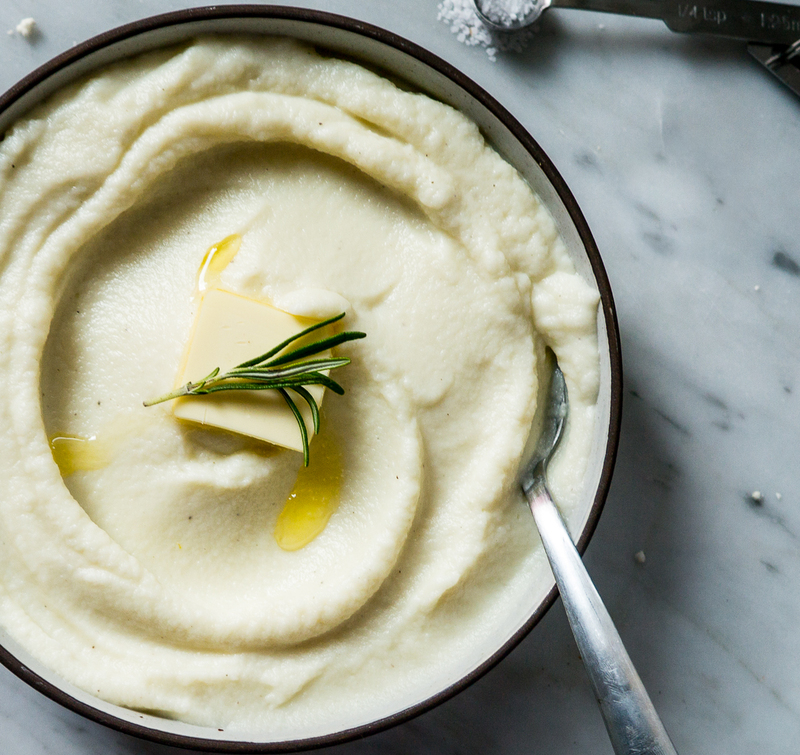 The easiest side dish ever that won’t stress you out when you crazy relatives are in town for the holidays. Do you have any favorite holiday recipes? I’d love to hear them in the comments below! 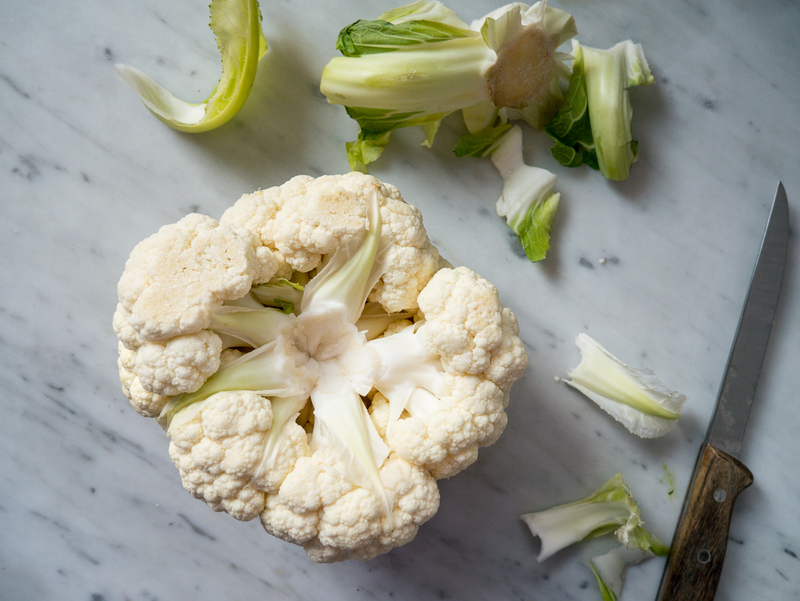 Remove the leaves from the head of cauliflower, and cut into florets. Steam for 10 minutes, or until fork tender. If you don’t have a steamer insert, a pasta strainer over a pot of boiling water will work great. 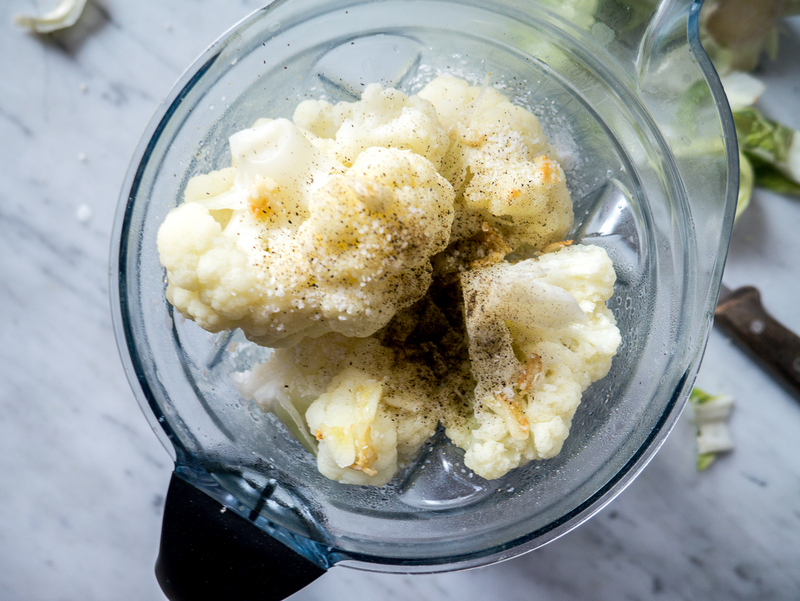 While the cauliflower is steaming heat olive oil in a saucepan over medium heat. Saute garlic in olive oil until fragrant, but don’t let it get brown. 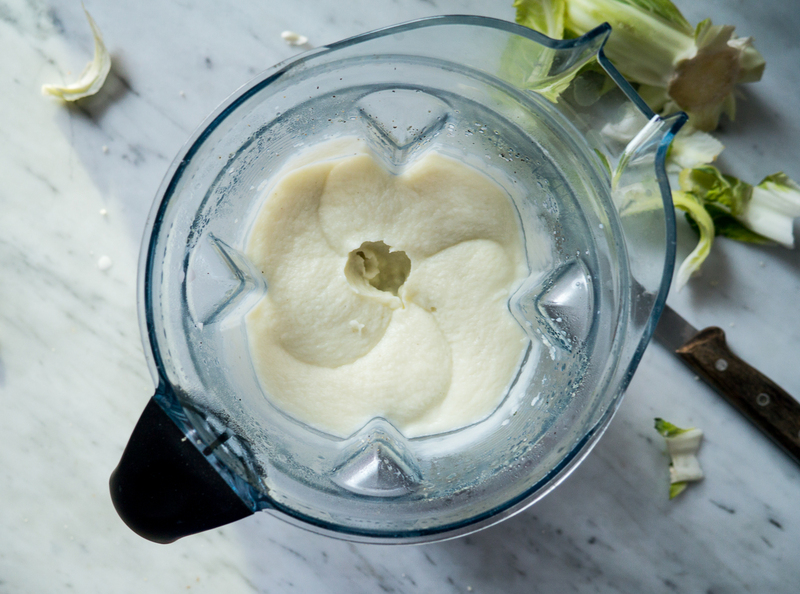 In a blender combine steamed cauliflower, garlic olive oil mixture, half and half, salt and pepper. 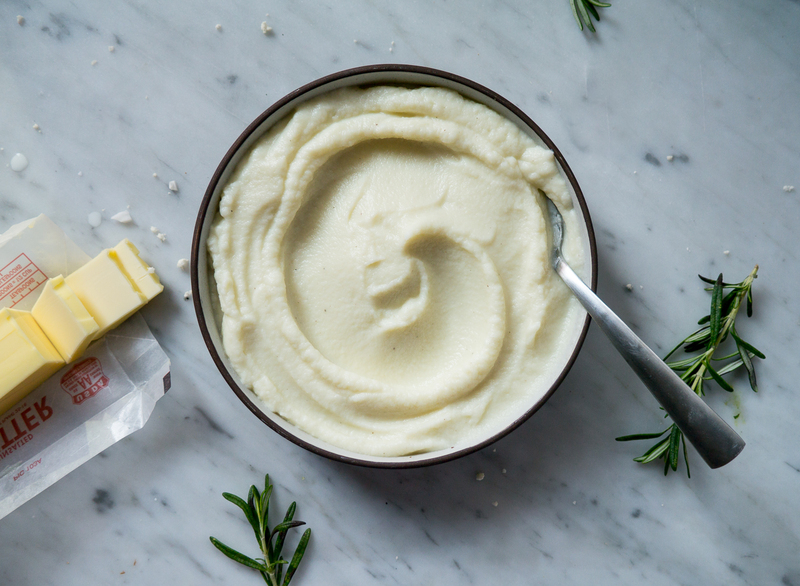 Puree on high until smooth. Enjoy!